Moving on from the previous day in Tokyo, we actually checked out of our hotel to a Tokyo Disney partner hotel in order to maximise our time in the Disney parks. So I thought it was better that I give this Tokyo Disney partner hotel a full entry because I could barely find any pictures online before deciding to book the hotel. Took a taxi from Shinjuku Granbell Hotel because it was impossible for us to navigate the train system with all our luggages again. Too scarred by our first day in Tokyo lol. Anyway, this was the easiest option because we wanted to get to the bus station beside Shinjuku station and the driver just dropped us off at the bus station without any fuss. It was about 5-8 mins away from our hotel actually. 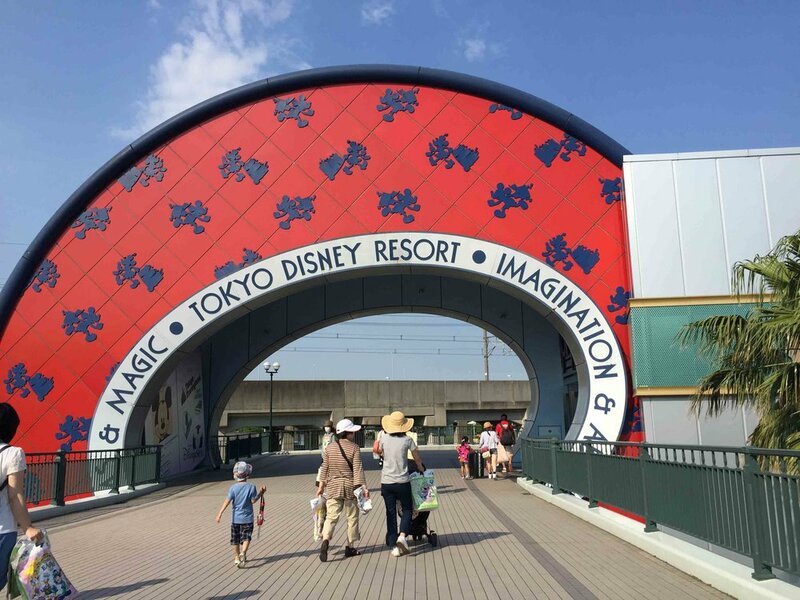 The direct bus to Tokyo Disney Resort is a very convenient option if you want a more direct method of getting there. Of course you can still opt to take the train down to Maihama but since we were travelling there with luggages it was better just to get from one point to the other without any transfers plus we wanted to be there when the park opens at 8am so we would have met with the morning crowd on the trains. The bus journey was around 40 mins and because we took the first bus (kiasu Singaporeans lol), we actually arrived at the resort in less than 40 mins. Tickets for adults are priced at 820yen each. The bus depot is actually located outside Ikspiari so once you alight from the bus, you can just get off and locate the boarding area for the free hotel shuttle bus to your hotel inside the resort. If you are staying within Disneyland, you can just head straight to the parks (DisneySea is located at another area so you have to take a bus there). Our choice of hotel was Hilton Tokyo Bay and I booked the Happy Magic Room so that all four of us could be in a room (plus the room is actually majorly cute!). Agoda was running a promotion then and I managed to get the room at SGD360/night inclusive of breakfast for 4 adults which was a very very good deal! By the way, the Disney hotels located within the parks are actually very expensive (why T_____T) so we opted for a partner hotel in order to stay within the resort yet at fairly reasonable prices because we didn't want to waste time travelling back and fro from Tokyo over 2 separate days. There is a tiny Disney store at the hotel lobby plus a convenience store + bakery. Here's more pictures of the Happy Magic Room! Room was pretty big by Japan standards but remember that it's meant to fit up to 4 persons. I think children will definitely enjoy staying in this room because of the 'magic' mirror and what not. Overall the room was very clean and well equipped with a mini fridge. I think the idea of staying near the parks was very good because halfway through the days my mother got really tired and my brother got really bored so they just easily exit the parks in the afternoon and head back for a short nap till night time before returning the parks to meet up with the bff and I since we wanted to fully maximise our time at the Disney parks. Also the shuttle buses actually run till late so even after the parks closed and we had to settle our dinners at Ikspiari, there were still regular shuttle buses back to the hotels around the resort. Breakfast selection was also very good, it had a good mix of international food and Japanese cuisine. Anyway, I hope this short review will help you in selecting a partner hotel near the Disney resort. If you have any further questions about the hotel feel free to leave a comment below and I'll see if I can help you! Hopefully the next time I'm in Tokyo I would have saved up enough to stay inside the parks since hotel guests get a 15 minute head start into the parks before the public is allowed in lol.